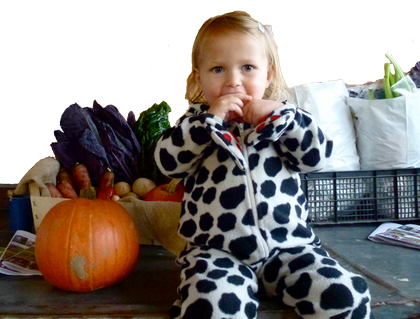 Right next door to the popular children's destination Heritage Farm, which sadly closed last month, Sutton Community Farm�is launching an exciting new parent and toddler group which offers a fantastic alternative and lots of healthy, outdoor fun. The two hour�Little Bugs Club�sessions at�Sutton Community Farm�(which is a not-for-profit enterprise growing vegetables and running a veg box service for the local community) will run every Monday and Wednesday from 9.30am ‐11.30am. �Sessions will be based around seasonal themes with activities like treasure hunts, exploring nature, singing songs, digging and growing and reading stories. Pricing is per family each session will include a free tasty organic snack and a warm drink. "If you sign up for a full 10 week course you will be given vouchers so that if you miss sessions (through illness, for example) you can make them up the following week," adds Emma.